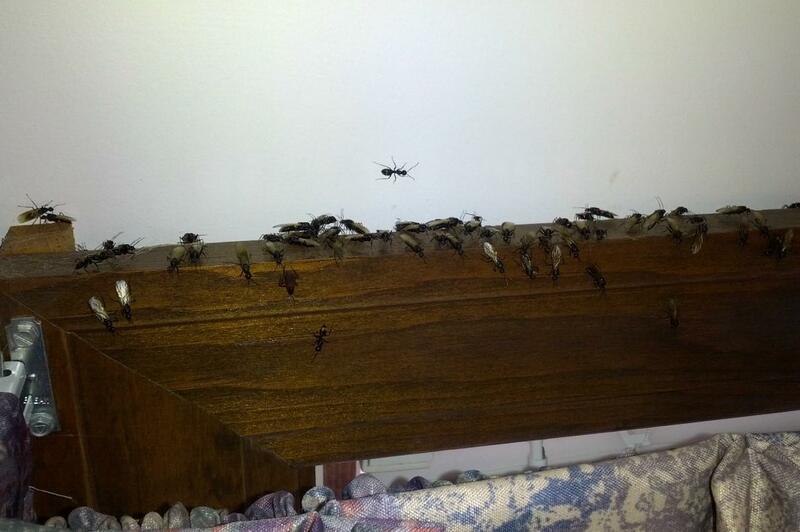 Carpenter ants swarming out of an office window trim. 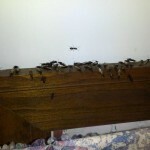 A recent survey by the National Pest Management Association indicates that ants are America’s #1 nuisance pest with carpenter ants being treated most often. That’s no surpise, but was is a surprise is that homeowners are not the only ones fighting this battle. According to the survey, ant infestations were commonly found in business settings such as office buildings, restaurants, nursing homes, hospitals, schools and college dormitories. If not handled properly, pest problems can be a public relations nightmare for businesses, resulting in a damaged reputation, lost revenue, and, in extreme cases, litigation or closure. For home and business owners alike, early detection of pests is critical, but it’s only the beginning. As soon as pests are suspected, a thorough inspection should be made to determine the extent of the infestation and then a pest control follow up plan, including the use of Integrated Pest Management (IPM) techniques, should be discussed. If you’re dealing with a pest infestation in your business, contact Modern at 1-888-997-3312 for a FREE inspection.